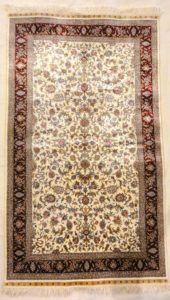 Finest vintage silk hereke is hand made of natural wool and silk. As well as organic dyes. 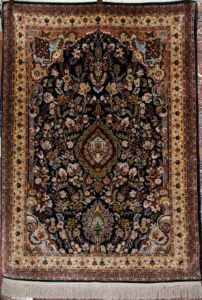 Vintage Hereke hand knotted with wool and silk. As well as made with organic dyes. 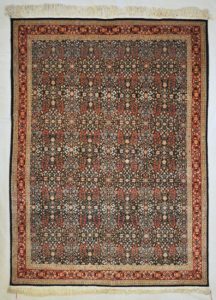 Vintage Authentic Turkish Hereke hand knotted with wool and made with organic dyes. 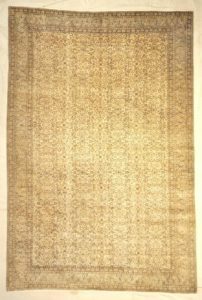 This Fine Silk Hereke Carpet ( 6’4×9’5 )is very unique with it’s very fine details and weaving patterns. 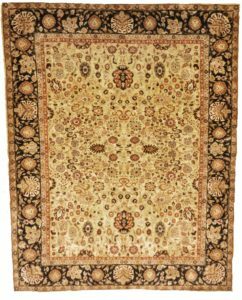 Hereke carpets are woven in a coastal town in Turkey, and are made predominately of silk, wool and cotton- sometimes with gold or silver threads. 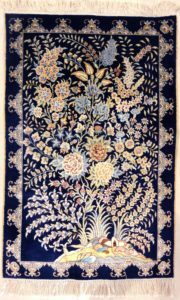 In 1841, Sultan Abdulmecid l gathered the best artisans and weavers in Hereke and began manufacturing his own high quality collection of carpets all with unique patterns and colors. 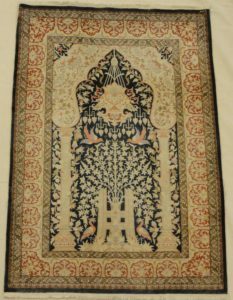 Ottoman Sultans used to give carpets like this Hereke as gifts to visiting royalty. 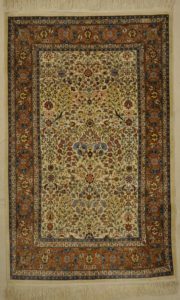 Today, Hereke carpets are typically large in size with very distinctive and clear patterns due to the fineness of the wool and silk. 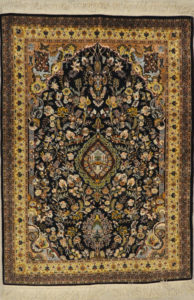 This traditional fine carpet is so unique with it’s intricate designs and color palette. The extremely fine threads are so closely knotted together that it would take a skilled weaver years to complete. 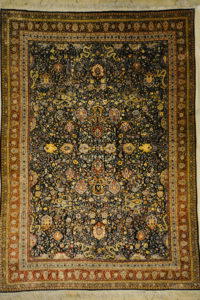 This Fine Silk Hereke Carpet is very unique with it’s very fine details and weaving patterns. 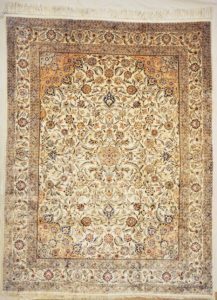 Hereke carpets are woven in a coastal town in Turkey, and are made predominately of silk, wool and cotton- sometimes with gold or silver threads. 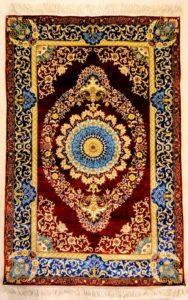 In 1841, Sultan Abdulmecid l gathered the best artisans and weavers in Hereke and began manufacturing his own high quality collection of carpets all with unique patterns and colors. 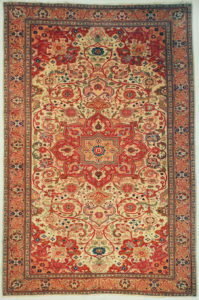 Ottoman Sultans used to give carpets like this Hereke as gifts to visiting royalty. Today, Hereke carpets are typically large in size with very distinctive and clear patterns due to the fineness of the wool and silk. 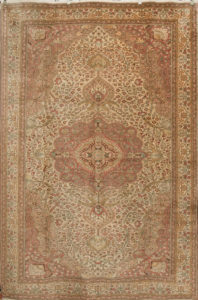 This traditional fine carpet is so unique with it’s intricate designs and color palette. The extremely fine threads are so closely knotted together that it would take a skilled weaver years to complete. 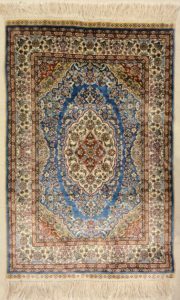 This is one of the finest silk Hereke rugs that you will find in the market today. 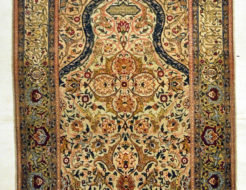 These carpets are considered fine art by connoisseurs worldwide. 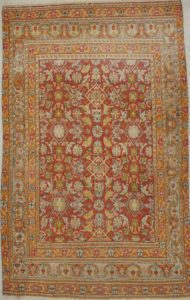 Collectors agree that nothing finer exists than a pure silk Hereke carpet. All debate ceases in the presence of this genuine work of art. 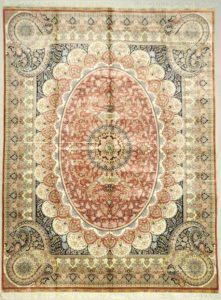 This carefully chosen Hereke silk carpet is a handmade masterpiece. 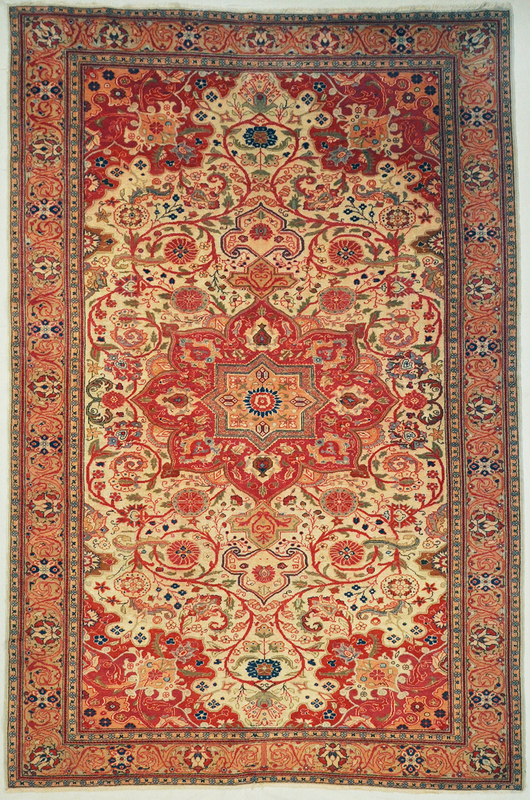 Fine Antique Silk Hereke rugs are elegant, distinguished and enduring design pieces. 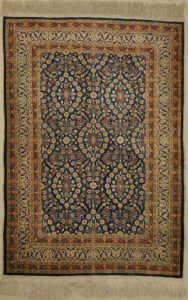 It’s estimated that even smaller Hereke rugs have taken weavers one year to complete. 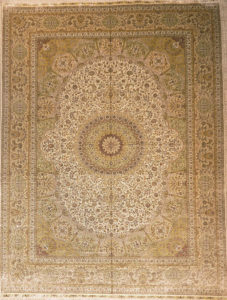 These magnificent rugs use the finest materials and the most exquisite patterns. 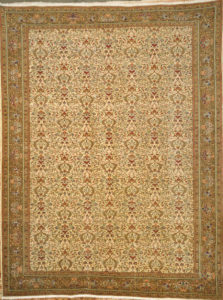 Fine Turkish Silk Hereke rugs are elegant, distinguished and enduring design pieces. 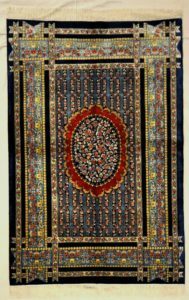 It’s estimated that even smaller Hereke rugs have taken weavers one year to complete. 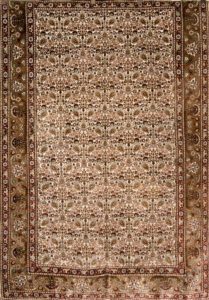 These magnificent rugs use the finest materials and the most exquisite patterns. Designed to embody the level of imperial elegance that an Ottoman sultan would expect, Hereke carpets are traditionally made with a combination of silk, cotton and wool. Hereke carpets are traditionally made with a combination of silk, cotton and wool. A master work of woven artistry. Different themes connected to emulate the Garden of Paradise. All over floral tail of the peacock motif. Made with the finest Chinese silks. The classic Garden Of Paradise with a floral sprays surrounding the palace.